Home › Toys › Buyus [Travel Size] Color Magnetic Drawing Board For Kids/Toddlers/Babies Wit.. The Mini Color Magic Drawing Board Coming with 4 Colors Areas on The Drawing Screen (Yellow, Green, Blue and Red). 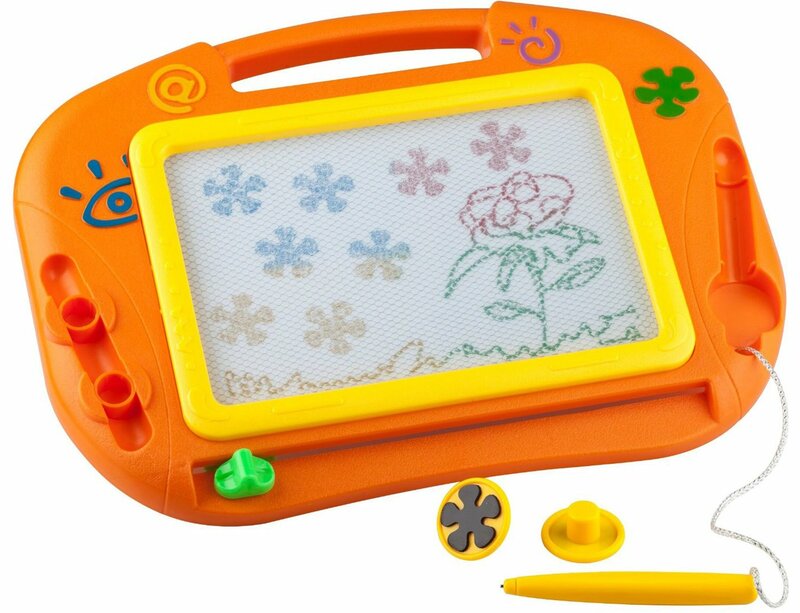 This Toy includes a Extra Large Drawing Screen with 1 Easy Slider Eraser, 2 Snap Fit Shaped Stampers and 1 Pen. The Stampers Stick in The Storage Slots and The Pen is Tethered (So Nothing will Get Lost). Hours of No-Mess Magnetic Colorful Drawing Fun, Start Your Kids' Creativity and Imaginarium Now.